The company has also posted profits of $13.6 billion total for that same quarter, driven by iPhone sales. The tech giant has now released some of its figures with regards to its revenues for the second quarter of this year and it has shown that the Apple App Store has now experienced its best quarter on record. The revenues for the App Store were up 29 percent when compared to the same quarter in 2014. Despite the fact the data that was released did not include specific revenue figures, it did reveal that the service revenue from Apple app, iBook, and Pay came to a record breaking $5 billion in total. The company has reported total profits of $13.6 billion for the quarter, which is an increase of 33 percent, year over year. Moreover, it also reported total revenues of $58 billion, which represents a year over year increase of 27 percent. The quarter, itself, was a strong one, but even the Apple app sales still weren’t enough to bring the total as high as Q1. The overall performance of the first quarter of 2015 was still notably stronger, if only because it was one that included the holiday shopping period, which is always the highest of the year. When compared to the first quarter, the revenues at Apple dropped by 22 percent, and the profits dipped by 24.4 percent. Sales of iPhones fell by 18 percent. Most of the revenues that were generated in the second quarter were the result of the sales of iPhones. There were 61.2 million Apple iPhones sold in that quarter, alone. It was an increase of 40 percent over the number of the smartphones that were sold during the same period in 2014. On the other hand, the numbers for iPads were not nearly as positive, as 12.6 million of the tablets were sold, which represents a drop of 23 percent. Since these revenue and profit results include only the period of three months that lead up to March 28, they include the sales of only the devices and Apple app and digital product offerings that were available until that time. This means that the Apple Watch sales were not a part of the figures in that release. The beauty retailer has created its own Beauty Board initiative to enhance its loyalty program. Sephora has just added the latest part of its mobile marketing strategy by introducing a social media marketing element that could make it quite the powerful means of boosting the effectiveness of its loyalty program. This is being accomplished by way of a new feature to the company’s app that is comparable to Instagram. The initiative has been labeled Beauty Board. 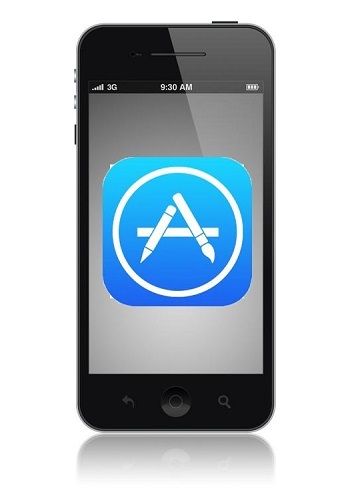 It is a social media marketing element within the iPhone app for the retailer. This allows the mobile application to leverage mobile marketing through photo sharing in order to be able to allow loyalty program members to connect with each other. This initiative is meant to be an expansion of the My Beauty Bag effort that was rolled out by Sephora last year. This latest social media marketing effort is not coming as much of a surprise due to the retailer’s mcommerce focus. As the company has always held a place at the forefront of mcommerce, this mobile marketing news is not entirely surprising, despite the fact that it is fresh and unique. The retailer continually adds to its user experience, and adding a social component is a feature that could prove to be quite appealing to many shoppers. The purpose is to help to enrich a shopper’s overall experience with the Sephora brand. It helps to provide customers with a new and interesting organic way in which they can interact more fully with the brand and its products. The goal in enhancing this interaction is to boost brand loyalty. Should the effort be successful, it is very likely that other brands will not far behind in introducing similar strategies. The social media marketing features from the Beauty Board are available only to members of the loyalty program called the Beauty Insider. It can be found under the iPhone app’s “Inspire Me” section of the menu. 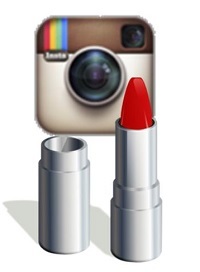 It gives users the option of either uploading a picture of a specific look using the brand’s makeup, or taking a photo for their own personal viewing later on.